Jason Craig (JRoc to his friends) and partner Ryan Labbe are taking Las Vegas’ nightlife scene by storm. The duo’s company, 81/82 has partnered with Andy Masi and the Clique Hospitality Group. 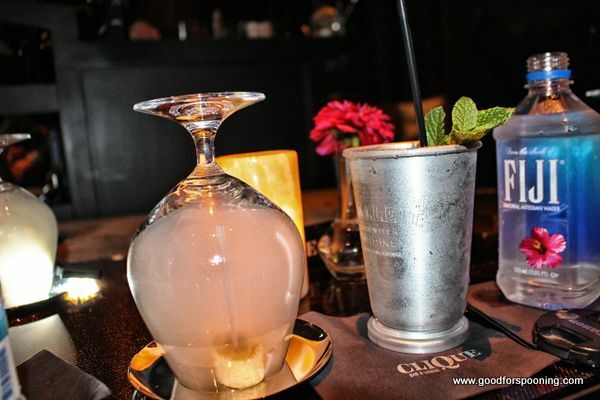 After the recent opening of the Clique Lounge at the Cosmopolitan, they are preparing more new venues with exciting contemporary twists to bring new flavor to Vegas and San Diego nightlife. I sat down with JRoc to learn a little more. JRoc moved to Vegas as a teen and went to UNLV. He spent his youth in athletics, specifically boxing, which is where his nickname came from and he continues to box and is a self-proclaimed “gym rat”. After UNLV, JRoc did a tour with the Marine Corps in Iraq. No mean feat there. The military experience provided him with a unique view and mindset about business. He is driven to be the best version of himself. He’s reliable, on time, gets the job done and says, “[After that] I feel I can do anything I put my mind to. I can figure it out on my own or [find the right people to help me].” Immediately upon his return to civilian life, he entered the nightlife industry where he met his now business partner Ryan Labbe. 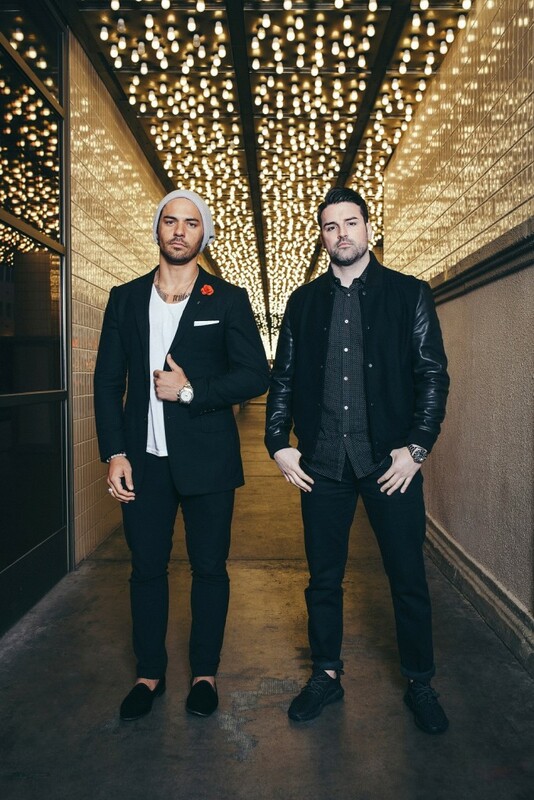 Partners Ryan Labbe and JRoc both are veterans of the Vegas night life scene and have worked at top spots throughout the city including The Palms and the Hard Rock Hotel & Casino. They have done everything in the industry including event management, talent management and event planning. They make a great team because they have different life experiences and skill sets that complement one another. Ryan is strong on the operations side and JRoc is strong on the marketing side and both have excellent client relations skills to make 81/82 a hot player in the nightlife market. The team has their finger on the pulse of what is on trend and what is going to play to any given market. In addition to their partnership with Clique Hospitality group, JRoc and Ryan also work with 50 Bleu Vodka and ResQwater in marketing and public relations capacities for their launches and cross market promotions. JRoc, independent of 81/82, works with Stitched menswear in marketing. You can find their store at the Cosmopolitan. 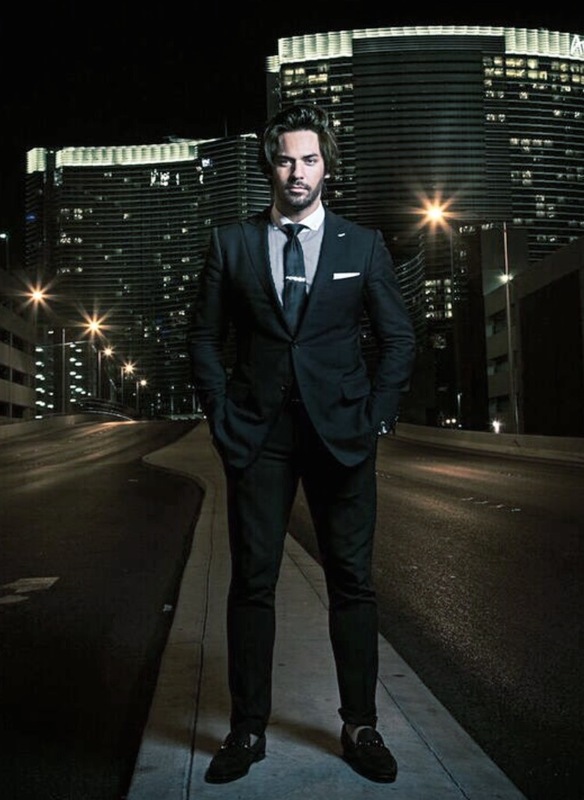 Having come of age in Vegas, JRoc has seen a lot of changes in the way business is done here for the nightlife industry. He worked as a bartender, manager and marketing professional before starting 81/82 with Ryan in 2012. As a nightlife entertainment professional, JRoc has seen the advent of specialty cocktails, hand crafting of house specific ingredients and watched the microbrewery industry explode. We talked about trends, and he cited gin as a big trend in the cocktail world. Clever uses that even someone who doesn’t like gin’s strong flavor can get behind. When asked about food trends he feels, like I do, that “old school” is getting ready to make its voice heard. Going back to basics, getting away from the complicated and keeping it simple, elegant and almost homey in flavors if not in presentation. He cited Carbone as a recent star on the scene that is doing exceptional personalized service with old school flavors that he sees as coming to the forefront. Expansion is the goal of 81/82, working with the Clique hospitality group and independently in the future. They are taking it one step and one venue at a time so all of the details are perfect, unique to the venue and exciting for regulars and tourists alike. They know in markets with tourism as a major part of the business, that locals can’t be left out; expect to see seasonal drinks and menu items appear to keep the spaces fresh and inviting for everyone. Near future plans include a nightclub here in Vegas with an additional venue in the heart of the Gaslamp District of San Diego. The San Diego location will have a small bites menu like Clique Lounge and plans are to open within 2016. The nightclub will of course be more focused on cocktail and music cultures and current plans are to see an opening next year. With Clique as a barometer of things to come, anything 81/82 does is sure to be a success and a fun venue in which to spend time. When you go to Clique Lounge, be sure to experience the table side cocktail service. It is unique, fun and you get a cocktail, a show, and you will learn something new. Currently they are featuring a smoked cocktail which is right on trend. Also offered are table side infusions and fired cocktails. Try this cocktail at Clique from the table side service cart. Yes, that is a banana in the smoke. Veganuary? I don’t think so!